Going no ‘poo is a huge topic. Not only are there a zillion options, but it also varies depending on hair types and situations. That being said, I’m going to attempt to answer some of your questions on how to use natural shampoo bars or go “no ‘poo” altogether. If you’ve regularly used shampoos and conditioners from the store, then you’ve most likely been using products that are full of waxes and silicones to coat your hair and fool you into believing your hair is healthy. In reality, you have been stripping your hair of its natural oils and replacing those perfect, God given oils with waxes and plastics. These, and other ingredients, are a big reason why there is a “no ‘poo” movement. Add the fact that many women (and men) blow dry their hair, use various irons, and color their hair with harsh colorants, and you end up with a large group of people who are frustrated with their broken, frizzy, or even balding hair (discounting genetics of course). I’m sure there are other people using clays, herbal tinctures and other methods, but the above are the most commonly used today. Here is my take on those methods. First, if you are using baking soda and apple cider vinegar on your hair daily, please stop! This has become an internet fad, but it doesn’t account for your natural hair needs. Here is why: You hair has a natural pH level of about 5.0 (anything below 7.0 is considered acidic). Baking soda in water is around 8.0 (more alkaline), though it can be higher, depending on how hard your water is. This is damaging to your hair. Without being too technical, it disrupts certain bonds, making your hair brittle. This is why the organic apple cider vinegar application afterwards is highly recommended. Apple Cider Vinegar has a pH of about 3.0, bringing your hair’s pH level back down. Using baking soda on your hair occasionally is perfectly fine, as long as you follow up with a 1/2 water, 1/2 organic apple cider vinegar spray. In fact, it can be extremely beneficial to get build up out of your hair. I use it once a month for that very reason even though I do not use shampoo (I’ll explain below). The problem arises when you use it daily. The yo yo effect on your hair is not beneficial. I started out on the baking soda vinegar method and failed repeatedly before switching to shampoo bars. Shampoo bars are made with enough wholesome oil content for the lye to convert most of the oil into soap, yet leaving the extra oil (the superfat content) to nourish your hair. To use shampoo bars, you need to know about the hardness of your water. If you have soft water, you’ll probably have great success with shampoo bars. If you have moderately hard water, you might get a squeaky clean feeling. If you have super hard water, then your hair may feel like straw. What happened?? Well, the soap molecules are interacting with the magnesium, iron, calcium, etc. to form a film that over time will become thick on your hair, weighing it down. To avoid or get rid of this, there are three things you can do. You can follow up after using your shampoo bar by spraying your hair with a 1:1 ratio of filtered water and organic apple cider vinegar. This change will allow the water to rinse the film back out of your hair and bring down your pH level that might have risen due to a higher pH level shampoo bar or hard water. There are a number of people who have been off of commercial shampoos and conditioners for years and have gotten to the place where they can rinse their hair with water, or herbal teas (being careful of pH levels), and occasionally condition with coconut oil, jojoba oil, or something of the kind. This is where I am at right now. I wash my hair with a shampoo bar occasionally, rinse with water occasionally, and condition occasionally. That’s as specific as I can be, because I honestly don’t wash my hair more than 2 times a week. There’s just no need unless it’s in the middle of summer and I am running daily. Then I will rinse it and perhaps condition more often. My hair is healthier than it ever has been, and I get more compliments now then ever. Everyone is different. Some people wash their hair with commercial shampoos daily or even twice a day, use a blow drier, have dyed their hair, and use an iron on top of that! If this is you, you’ll have a longer transition time than those who wash their hair every three days, let it dry naturally, and don’t use irons. If you wash daily, then your hair is so used to being stripped of all it’s natural oils that your scalp will over produce those oils for days, even a week or two until it realizes that this over production is no longer needed. This means you may have an oily head for a week. But believe me, if you can get past this and learn how to get rid of build up and condition naturally, you will have fabulous hair! 1. Remove build up from your hair. Get your hair wet and sprinkle baking soda all over your head, or make a paste in your hand. Work this into your hair, getting at those places where build up seems to occur the worst (underneath in the back, behind your ears, temples). You may need to do this 2 or 3 times. IMPORTANT: follow up by spraying your hair with 1:1 ratio of filtered water and organic apple cider vinegar. I have a spray bottle that I keep in the shower for this purpose. Work this into your hair, leave for a minute or two, then rinse. 2. Deep condition – If you have dry, dyed, or brittle hair this is especially important. Melt 2 Tbsp organic coconut oil and work into your hair (you may need to use more depending on your length and damage). I work it into the ends of my hair and about half way up. For those with very damaged hair, you may want to work from the scalp down. Leave this in for an hour to all night (protect your pillow of course), followed by a wash with a shampoo bar and apple cider vinegar rinse. If you are used to washing your hair daily, you may want to try a slow transition instead of cold turkey. Instead of washing every day, wash every other day. If you must, rinse with water in between washes. Do this until your hair adjusts. Then go to washing only every 3-5 days. This may sound crazy right now, but once you get there, you will hardly believe how much you were washing your hair before! It just won’t make sense any more. Once you’ve gotten rid of build up, deep conditioned, and are washing your hair less, then you can try to find the routine that works best for you. I have naturally curly hair. More so since I’ve gone all natural. Day 1: Wash hair with shampoo bar, spray with apple cider vinegar and water rinse. Day 2: run fingers through hair and go (yes, it’s fun saying that when people talk about how beautiful your hair is). Day 3-4: place some jojoba oil (or organic coconut oil) in hand, rub hands together, run hands through ends of hair and anywhere that’s flying away. Scrunch for pretty curls and go. Day 5: Rinse with filtered water or wash, depending on work out, dirt, or sweat level. Baking soda and organic apple cider vinegar rinse once a month (I have hard water). If you’ve tried to go no ‘poo and have had build up problems or dry hair/scalp then you’ve probably not accounted for pH, hard water, or the fact that you need to condition your hair (more often depending on the hardness of your water). I do make and use my own shampoo bars. If you’re interested you can get your own HERE, or you can make your own! Here are some recipes. I hope this information helps you in your transition. If you have questions or have had success with different methods, please let us know. We can definitely learn from each other! I have fine, thin, hair. (something you didn’t mention in your article, which does account for certain success with certain methods). I wash with a purchased shampoo bar from Camamu called Rosemary/Nettle. These two herbs are GREAT for hair! After shampooing, I use a homemade concoction of horsetail, nettle and rosemary ( take the three herbs, make a STRONG tea that is left to sit overnight or for at least 12 hours), mixed equally with ACV. I take this to the shower, and after shampooing, will reduce that with 1/2 water and use it to rinse my hair. I let both the shampoo bar and rinse sit on my hair for several minutes before rinsing. Depending on the weather and my activity level, I can either just rinse with water, or rinse with my tea/ACV concoction, or just fluff up my hair now. I do tend to sweat quite a bit, as my body temperature is always high, so I do have to wash more that you do apparently, and as my hair is clearly more fine and thin than yours according to the pics, will always have to. But I am really happy with the look, feel and my routine now. I do occasionally use either straight coconut oil on it overnight, or will use a mixture of several oils that work great for hair growth…trying to add more texture naturally…and because I don’t use a “conditioner” of any kind regularly. Thanks for the great article. I’m happy you brought up diet, because of course our diet, sleep, stress all effect our hair as well as our skin and overall health. My hair is very thick and curly, so it’s great to have some other perspective on here. Thanks Carol. Mine is just like yours, fine and thin. I buy rhassoul clay and aloe vera juice from Amazon and $30 in materials makes about 6 months of shampoo for me, washing about once a week. Been using this method for over 9 months, and my hair has never been happier. This is after more than a year of baking soda and acv. That made my hair too brittle, even with spacing out washing every 7 days or more. I mix the clay and aloe juice before each shower. The aloe juice has to be refrigerated, so to keep from freezing myself, I mix it up in a plastic cup (I just eyeball it. Probably about 3 tablespoons of clay and 3 ounces of aloe juice. That’s just guessing…And it isn’t always exactly the same. Works great either way. Anyway, I then put that cup down into a cup of hot water and weight it down so it stays mostly submerged. I begin showing, and after a few minutes the clay/aloe mixture is warm enough to use comfortably. My hair has never been softer or shinier! I LOVE this idea!! Definitely trying! Thanks for sharing Amanda. 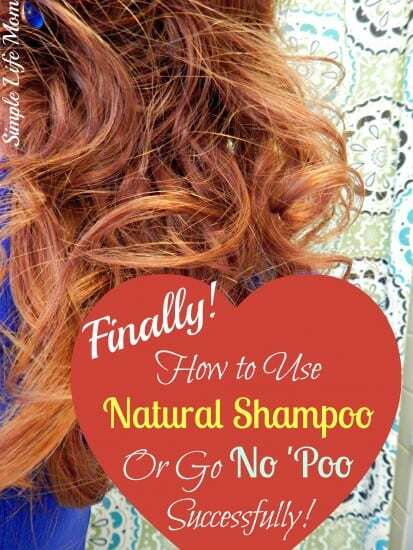 I love that no-poo is getting popular. I heard about it fist from my niece. I kinda kept the thought on the back burner then saw another article about it. My interest increased, so I looked it up and got lots of hits. At that time I was loosing hair like crazy and my scalp was constantly itching. I have now been no-pooing since July 2014. My hair has never looked or felt better. My hairdresser knows what I’m doing, I’ve even brought my “stuff” there foher to use. The last time I saw her she was amazed at how great my hair looked and felt. I use baking soda no more than once a week followed by a vinegar rinse. In between I do a vinegar rinse every few days. I always spend time massaging my scalp in the shower what I’m using on any day. I’ 57 years old and just assumed that my hair was going to be course and thinning due to the aging process. How wrong was I. In the months my hair is soft, wavy and the best part regrown in all the areas that I had lost hair. I love my hair now, it just (in my opinion) looks so good and lifts my spirits. To say even my 7yr old granddaughter made a comment about it, says something, she called it “wild”. The other thing I do to my hair is to run some coconut oil through it. I have started using only the coconut oil to moisturize my face, which has improved my skin dramatically, so while my hands still have the oil on them I jut run them through my hair and scalp. Both skin care and hair care changes has received [positive compliments. On an economical aside, these routines don’t break the bank. Also if you travel, each item has many uses besides skin care. toothpaste, mouth rinse, astringent, treatment for heartburn and add some lemon to the apple cider and you have a internal cleanse. Imaging how easy it could make packing. Thank you so much for supporting the info you provided! I’ve read a lot of not so great articles, and I’m one who appreciates the why with the how :). And I too would be curious for your ideas for the fine, thin hair crowd! It is pretty limp, so I also use hair products…is that something I could actually consider dropping when I adjust? That would be incredible! Laura, I was actually talking to someone through my shop the other day who said they had thin, limp hair before transitioning. Now she says her hair is shiny and bouncy. Everyone is different. You’ll have to see what works best for you, but I think it can only help. Thanks for doing the research and sharing your personal experience…my routine includes an herbal infusion of with nettles and ACV for extra strength and shine! ooh, nettles. I’ve been reading more and more about nettles and health. Great idea. Do you use any other products on your hair when styling it to help with your curls? No, I just use a tiny amount of oil on my hands if it’s flying way. I may run wet hands through it and scrunch other days. My daughter goes days without washing her hair and has shared the benefits. I also have at least one friend who also does this. However, I just can not get my self to not wash my hair. Oh wait, last night I did not wash it. I spent all day working on the computer and felt there was no reason to. We do use organic shampoo and conditioner, but I know it doesn’t matter. Great post followed you here from the Wellness Wednesday party. I went no poo for a while and never had any of the “detox” people talk about. My hair was totally fine with it. My hair is arrow strait and fine but manageable so I don’t have to worry about curls (it won’t hold a curl to save my life). I was it about every other day normally and switched to doing baking soda w/ ACV rinse cold turkey. The only reason I stopped was it was because of some life changes. I’m planning on going back to it this summer once my current shampoo and conditioner run out. The only downside was the vinegar smell, which my husband commented on and wasn’t a fan of. You don’t have to use much vinegar. Using the Apple cider vinegar changes the scent drastically. Also, you can use lovely smelling shampoo bars. I have tried going “no-poo” before and had an awful experience. My hair felt waxy and like I just made it even dirtier. I do want to try again, though, especially since, if done correctly, the benefits are amazing. These tips are very helpful and I will be sure to keep them in mind when I make my second attempt. Thanks! I’ve made my own shampoo before of castile soap, jojoba or almond oil, rosemary or lavender eo mixed halfway with water. I got used to it for a while. My hair is knee length, straight, but tangly. Even though I don’t use heat on it, it tends to be frizzy. Over the winter, I went back to using commercial shampoo and conditioner. I would like to go back to making my own, but it is time consuming to find what works for me and I haven’t found a cheap way to get castile soap. All of the articles I’ve seen on natural shampooing seem to be for women with shorter hair and I wish I could find tips for waist length or longer. Trisha, I don’t think longer hair is that much of a different issue. Mine is halfway down my back, so it’s not like it’s short. Even with your mixture you would need to not wash as often and make sure you balance the pH afterwards with a vinegar rinse. You still need to deep condition occasionally as well, even though you have jojoba in your mixture. The castille soap will wash most if not all of that out. Let me know how it goes. So you’re saying there’s hope to have clean beautiful hair without washing it everyday??! I’ve been no poo for a while now, using shampoo bars, which are definitely better on my hair than anything else. I would LOVE to reduce washes to only a couple times a week. I may need to experiment again and try your system. I’m afraid to deep condition my hair though since it is so oily. Perhaps removing the build up first will help! Removing build up will definitely help! Probably what you’re seeing as oil really is the actual build up. I had a friend who was a hair dresser years and years ago trim and straighten my hair. Before then I had a daily washed and blow dried frizzy mess (she was trying to help me I’m sure). The hot iron really showed my hair for what it was. It looked like I had dunked my hair in oil. Yuck! After using the baking soda (which she told me is an old hair dresser’s trick) it was light and beautiful again. All that “oil” was build up. Thanks, for sharing with us at Mommy Monday! Great post! I have looked into going no ‘poo for years now, but haven’t had the courage to jump in. My hair is naturally very oily, and I’m afraid of the transition period people warn about. However, I am excited about the idea of shampoo bars! These are new to me, and I can’t wait to try! I have a lot of fine, straight/wavy, naturally oily hair. Would you still recommend using jojoba or coconut oil on the “off” days? With how easily my hair gets greasy, that sounds like a nightmare for me! I’m sure the baking soda rinse will help with the oiliness, but is there anything else you would recommend for frizzies or fly-aways that isn’t so oily? Also, what are your thoughts on dry shampoos? I have been using commercial ones for years to help cut down on washing so often, but am ready to completely kick the chemicals out of my hair routine. How would a natural dry shampoo fit into this type of regimen? Thanks! Once you adjust, your hair won’t be so oily, so you won’t have to worry. You may just be able to brush and go. Otherwise you can get water on your hands and rub them through your hair and possibly follow up with some store bought conditioner on your dry hair to combat frizziness as you transition. Dry shampoos are great. You just want to be careful not to rely on it because the baking soda can change the ph of your hair and make it brittle. You can use arrowroot powder instead. It works wonderfully. 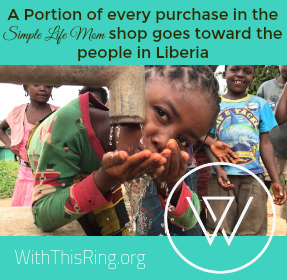 I just found out about your products through Esty which led me here. I love you philosophy and your dedication to your mission and products. I’ve been trying to go more natural. I’ve been using Wen for a year but it’s pricy. I’ve never used a shampoo bar but I’ve tried the baking soda and apple cider vinegar thing for about three months but I didn’t like my hair. I don’t think I was doing it right. I’ve given up lotions in favor of oils, rosehip and coconut are my favorites. I still use a Dove bar for washing my body but I want something more natural. Do you use a brush at all? I have a wooden comb and a boar bristle brush but hear finger combing is best. I love oil treatments for my hair and rub oil into my ends every night. Any more info on how to be more natural and products to check out would be great. Not to mention I use natural deodorant. I’ve tried the salt sticks, baking soda, and now I’m using coconut oil. I’m still trying to find the perfect one. Maybe a combination of coconut oil, arrow root powder, and baking soda. I have a number of deodorant recipes. Use the search button top right and choose the one you like the most. That’s wonderful Tiffany. I’m glad you found us. I have used a brush before, but I don’t do it very regularly. Any questions about the products, please let me know. I have wanted to go no poo for quite awhile but was afraid of the transition period — after all, I work in a professional office and I couldn’t exactly wear a hat or pull it all back in a clip for 2-3 weeks. I’ve made the transition from SO many other products, but NOT washing my hair . . . I really didn’t think I could do it. It wasn’t easy, I used something on my hair everyday, first was a Rosemary Mint ‘no poo’ with aloe vera and baking soda. I really had that greasy feeling and used arrowroot powder as a dry poo because it was so bad. About day 4 I couldn’t take it and used a pea sized amount of sulfate free shampoo. But I wasn’t going to give up that easily, I did more research and found a mixture of bentonite clay and lavender water and BOY did that help! My hair “FELT” clean, whereas before it didn’t. That’s not something you should use all the time, but it sure helped during the transition. Then my shampoo bars (from Kelly) arrived and I LOVE how they lather, just like real shampoo. I used for the first time yesterday and today is the first day I didn’t even wet my hair in the shower. I did lightly spritz it with my lavender water/ACV mixture and dusted just a bit of arrowroot powder on the roots. Even though it didn’t feel oily this morning, I feared by the end of work it might. So, it’s been 10 days and it seems the oil production is slowing down. Here are some things I did to speed up the transition phase: I brushed with boar bristle brush every night for quite some time. After the baking soda/ACV, my hair felt oily, but dry at the same time, that night after brushing, I put a small amount of coconut oil on the ends of my hair. When it was the worst, the bentonite clay really worked wonderfully (supposedly a raw egg will work well for the oil build up too, but after my shampoo bar came, I just used that). I used arrowroot powder if it felt greasy. My hair is fine and thin and about shoulder length. It’s currently colored (I do that myself) but I’m going to try some tea rinses that should help with that. I’m early 50’s and don’t want to be gray, I’m ‘naturally’ blonde, but after kids it’s been an ugly mousy brown. I’m hoping with the healthier hair and tea rinses I can transition from coloring. Last weekend was my weekend to color and I decided after all I’d been through I didn’t want to reverse my results. I’m sure I’m still transitioning, but if you’re on the fence, you can do this — if I can, you can. Kelly’s shampoo bars make the transition a lot easier, too! i am currently trying the no-poo baking soda/av vinegar method. The problem I have is that I run/workout often and sweat A LOT. If I don’t wash multiple times a week my hair (long, thick, non oily) gets too gross. I’ve been using this method for 2 months and my hair is stronger and wavier, but still fuzzy and not shiny, and feels greasy/dirty. After some reading I’ve realized baking soda is probably not the best method for my needs. So, how often can I use the bars or homemade Castile/coconut based shampoos with a heavy workout regimen? You are correct that using baking soda so often will cause your hair to become dry and brittle. 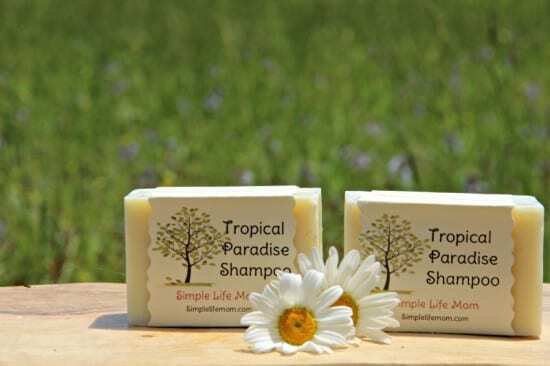 You can use the shampoo bars 2-3 times per week, followed by acv. Remember that you can rinse your hair without using anything but water. Depending on your hair and whether you water is hard or soft you still may need to use baking soda once a month. As for dry or dull hair, put a tiny amount of coconut or olive oil on your hands and work into the tips of your hair. When you have almost nothing on your hands, rub your hands into the rest of your hair. You still will need to deep condition once a month or two, but this will help keep your hair shining and healthy. I have tried to condition my hair with coconut oil but every time I do that a lot of hair comes off, do you have any idea why is that or any recommendations what to use instead? 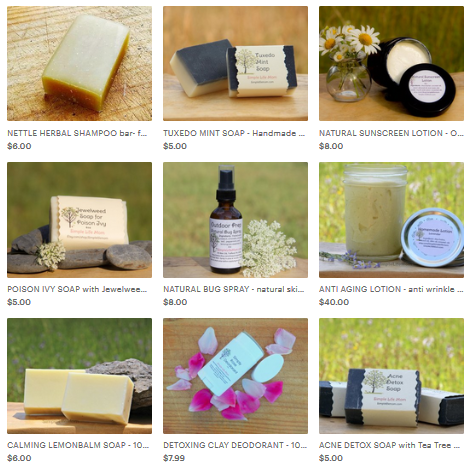 I use natural bar soaps for washing and have really thin hair. That’s really confusing. I’m sorry I have no idea why you would feel you’re losing hair when conditioning with coconut oil. I will give it some thought and research…Could it possibly be a separate health condition? I’ve been going “no poo” for about three weeks now (I know not super long). Before switching i was a religious every other day shampooer. Two weeks ago I did the deep cleanse with baking soda and apple cider vinegar followed up with coconut oil. Since then I have washed my hair twice with one of your natural bar shampoos. I feel like I can already tell that this week after skipping several days of washing my hair its not nearly as greasy as it used to be. My main concern is my hair is falling out like crazy. I have very thick hair with a natural wave in it. Any thoughts as to what is causing my hair to fall out? I hope to get a filtered showerhead for Christmas but have just been using our regular water right now and I’m not sure on how hard the water is. Thoughts? Hmm,just an idea, but if you shampood every day, then a ton of hair would have gone down the drain. When you don’t, all that hair sits in your wonderfully thick hair until you run your fingers or brush through it. Then you see a bunch of loose hair and wonder what’s going on. I’m guessing that this is what’s happening. Thank you so much for this article! I tried no poo a while back but hated the way my hair felt, so I went back to trying various sulfate free shampoos, none of which have been great. I’m trying to “clean up” my beauty products and would love to try this again, especially since my scalp is absolutely terrible! I tried to follow your “how to start” steps today and used coconut oil for a deep conditioner left on for one hour. However, I have now washed my hair with a shampoo bar twice (from beauty and the bees) and then got back in the shower and used the morrocan method shampoo twice and my hair is still SUPER oily. I don’t want to use a regular shampoo but I’m not sure how to get the oil out otherwise. Any helpful tips you could offer?? It doesn’t take much to deep condition. I’m guessing you used a lot. Try baking soda. This should help the excess to loosen from your hair. I will make a note above about amounts. I hope it all works out. Once you make that transition and get into a routine it really gets easy. Kelly, do you use a ACV water mix that is equal in amount ? I also have hard water and do an ACV water mix ratio 30 ml ACV and 300 ml water but my hair feels coated and waxy just as if the shampoo hasn’t washed out completely. Yes, I do half and half. See if that helps. If it doesn’t, check back and we’ll try to figure out what else may be going on. Silly question. I’m new to all of this. I know you mentioned you only “wash” about 1 time a week, and even then you still don’t do a water rinse in between. Like when I’m showering, when do I just do a water rinse? Saw if I do bs/act today and then take a shower in 2 or 3 days, do I just cover my hair with a shower cap or just let it get wet. I do want to shower in between no poo washes. Lol. Not a silly question. Basically, you want to get where you’re not stripping your natural oils out of your hair so much, but getting rid of too much oil, sweat, and dirt is necessary. All that is going to vary depending on your activity and body. If my hair is needing a curl pick me up or I worked out hard, I may rinse it, but not apply soap. It all just depends. You know your hair. Don’t rinse just because you’re in the shower, but decide before you get in if it could use a rinse or not. Getting it wet is not such a big deal, it’s the soap that makes a big difference. Here in italy We have a great no poo with chickpeas flour and water mixed, easy to find it on store. After apple cider vinegar in spray with water. Hair are really clean for one month or more!! ? I’ve never head of that before. Thanks for sharing!! Possibly when you were using the baking soda mixture you were gathering your hair and working the ends harder, but most likely you were not spraying the ends with acv like you would the rest of your hair; leaving a ph imbalance. Would you consider a natural bar, rather than the baking soda mixture? I know what you mean about even natural shampoos over stripping your hair. If you go back to your past routine I would suggest you make sure that you a part the tips with acv and that you are deep conditioning at least twice a month, focusing on the bottom tips of your hair. I actually focused the acv on the ends, but I wonder if the concentration was too weak? I’m going to look through your site for how to naturally deep condition. Thanks for the tips! I’ll keep the natural bars in mind too. Best wishes for your business, blog, and all your life endeavors, and thanks for being available with advice! What do you recommend for dandruff Sufferers? I’ve had it since I was a teenager. Recently I’ve tried going more natural with my beauty regime and diet. For the last month or so I have washed my hair once a week with l’occitane anti – dandruff shampoo (which I used before too). I find I have to use this shampoo otherwise there is so much on my scalp and I’m scratching like crazy. It has improved slightly, but it’s still there. I did try aloe Vera gel on my scalp to help soothe it but still shampooed straight after. My hair is fine and we have hard water if that makes any difference. Thanks so much!!! I was wondering, how is your hair cut? Layers? Thanks! Love this post! I wish more people would give this a try. I know a lot of people can’t get past the yucky period when their hair is “detoxifying”, which is a shame. I’ve been using our own shampoo bars for years now and it only took between 1-2 weeks for my hair to return to normal, but mine is thick and tends to be on the oilier side. Anyways, thanks for sharing! I definitely need to give in and start conditioning with some coconut oil! I washed my hair twice a week with shampoo, but already on the second day, my scalp started to itch like hell and LATEST on the 3rd or 4th day had to wash cause of the grease. About one month ago I went no poo again —- some years ago I tried with Rhassoul and later with the baking soda and vinegar method, the first let my hair after some days dry in the lenghts and greasy and sticky close to the scalp, the second left my hair dry and even dryer, dull, although I rinsed with vinegar….well, the resuts didn’t satisfy me at all. At the moment I wash my hair with whole rye flour. Just one to two soup spoons of flour diluated in a cup of water., put on the wet hair, rinse with clear wather and then with a vinegar and water mix. Did someone of you ever try? I am rather amazed! My scalp doesn’t itch any more, I wash at the moment once a week, but I am sure I can wash even less in future. And the dry lengths start to look better, too. I will give you some more feedback in the end of the year, after some more months of rye poo. Thank you for sharing your experience. I’ve never heard of that! I look forward to your update. Can you suggest a diy conditioner, for an instant wash?? Or the apple cider vinger/water mixture. Did you have something else you were looking for? What about swimming in pools? Would Apple cider vinegar get chlorine out? The best thing I’ve heard for hair protection is a vitamin c spray. You can use vitamin c powder and make your own. So… I found you because of the B2B summit. 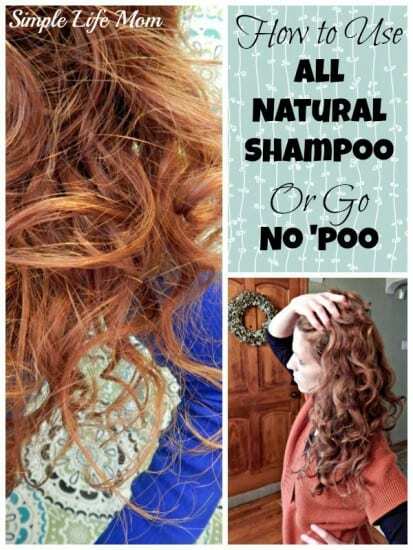 I had no idea (well, until now 🙂 ) that “no-poo”ing was a thing. I have long (waist length) curly/wavy hair that is both fine strands and in thick quantities. About 3 years ago, I started washing my hair about twice a week. As of about a year to year and a half ago, I went to only washing my hair once a week. I use a straightener on it occasionally (every time I do, it rains!) but I very rarely blow dry it, and it has been salon highlighted for about 2 1/2 years now. So tonight, I saw this article and found your etsy store and I am curious to know if, when I transition from using the salon shampoo/conditioner to the shampoo bars, would I have as difficult of a transition period? Or would I remain pretty status quo when it comes to the transition phase? As is, if it’s not hair washing day, I usually put it up in a shower cap, because having just water from the shower makes my hair feel different, and using just conditioner makes my hair feel more like clay. Anyway, love your article and would love to hear your thoughts! Hi Emily, glad you found me! Quite possibly since you already don’t wash your hair every day you’ll have a pretty smooth transition. The type of water you have matters. If you have a filter on your shower head you’ll have an easy transition and love every second of it ?. Hard water can make things a little more tricky. You’ll still want to condition so you can balance the ph. I haven’t gone “no poo” yet, but I am “low poo” with just shampooing my hair on Wed. & Sun. I’ve been curious about your shampoo bars. I color my hair to its natural black color to cover grays. I have noticed over time the black fades a bit to a brown/black. (Maybe it is the hard water here?) I don’t use any other products in my hair and rarely blow dry. I’m wondering if your shampoo bars would fade dyed hair. Also, if I do use your shampoo bars, would you suggest a conditioner because of the hard water? BTW, I love your homemade lip balm recipe and finally got it right…3rd time is the charm! That’s nice that it goes away when it dries. Do you wash now or simply rinse? It could be your own oils coating your hair, or you have hard water that may be causing minerals to cling to your hair.